This year I will be welcoming in the New Year with friends at home in Manchester. The last year has undoubtedly been a trying year. A year that has seen much change and I welcome all the challenges and change that 2019 will see. I considered all kinds of recipes and food I wanted to cook for my friends, but a fondue and raclette grill was a clear winner for many reasons. The elves at Amazon kindly delivered an extended raclette grill that includes a fondue pan, grill and twelve raclette grills. I was keen to encourage games and conversation at the table but also have something that would have longevity as with New Year’s Eve, the evening is long. Food that was easy on the washing up was essential, as was the amount of time in the kitchen for me. The fondue and crudités can all be prepped beforehand if not the day before. Additional with the raclette grill and a hot plate for the fondue, the warmth in the food can be maintained throughout the evening. As with a lot of my cooking I really enjoy the research element to recipes and food, finding out what works well and what doesn’t etc but also very much enjoy sharing my recipes. I wish friends new and old the best of luck for what 2019 brings and I thank you for all that you have done for me 2018. Last week I enjoyed a lovely Chinese meal out on my birthday in great company. The restaurant was incredible, as was the food. I wanted to eat everything. What I did eat was like nothing else I have had before, but it was the most simple of dishes that really hit my taste buds. A week on and I wanted to make a meal of one of the plates and decided to give Chicken and vegetable egg fried rice a go. Heat the wok until hot. Add some oil and once smoking add the eggs. Leave them to whiten before turning and scrambling using a spatula. Add the diced chicken and cook until it is 90% cooked through. Add the carrots and onions and keeping mixing in. Now add the warm rice and break down any large lumps. Now is the time to practice the wok flick! Add a few pinches of salt and pepper, the garlic, dashi and chicken stock. Once mixed add the unsalted butter and a handful of spring onions. Now add the soy sauce and sesame oil while continuing to combine the ingredients together. Leave to cook for a few more minutes before serving with a sprinkle of spring onions as a garnish topping. PS the restaurant was called Tattu in Manchester. A few friends have asked me to share my Grandads carrot soup recipe with them but I decided to share it here instead. It’s a recipe that originates from grandad Callaghan hence the name. Often this Carrot Soup recipe is served for Christmas dinner but great all year round. More recently I make this as a quick start for dinner parties with some homemade bread rolls. In a medium saucepan melt the butter over moderate heat. Reduce the heat to low and sweat of the chopped onions. Add the carrots and potatoes and cook for 15 minutes, stirring occasionally to prevent the vegetables from sticking to the pan. 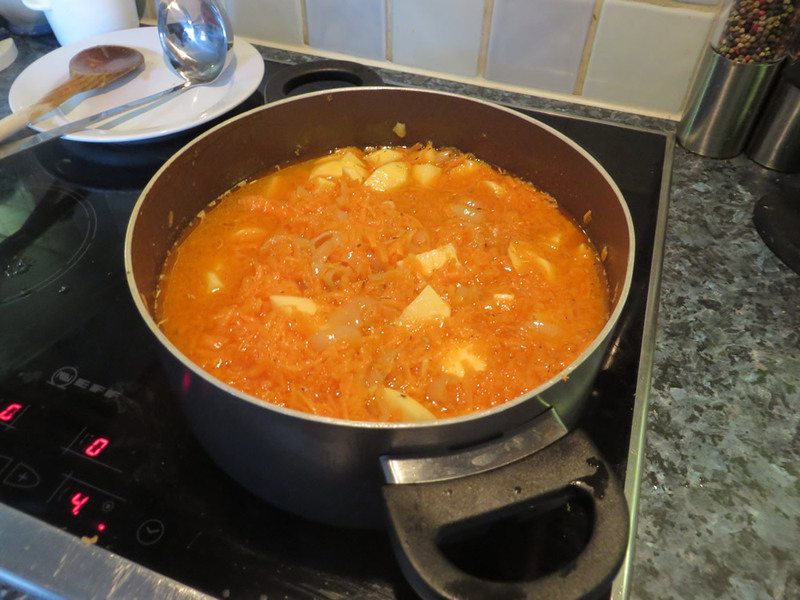 Add the Fennel seeds and optionally the Paprika to add a slight smokey taste to the Carrot Soup. Pour in the vegetable stock and simmer for a further 20 minutes, or until the vegetables are soft. Remove the pan from the heat and either press the Carrot Soup through a strainer placed over a medium sized mixing bowl or alternatively use a blender directly in the pan (tip: place cling film around the top of the pan and blender to avoid making a mess). Return the pan to a simmer uncovered until the soup thickens. Stir in the cream and add more seasoning if necessary. Serve Grandads Carrot Soup in hot bowls with a swirl of cream and sprinkle of fennel seeds. If there is excess Carrot Soup consider freezing some in suitable containers to have for a quick meal when such a time arrises. 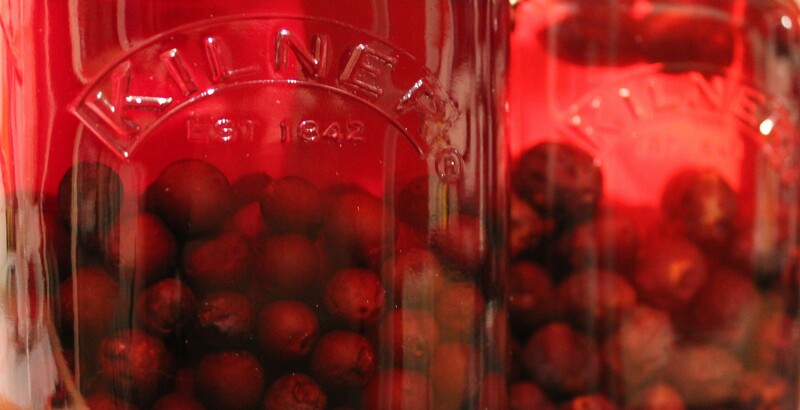 The first batch of our sloe gin has been prepared and laid down until at least Christmas or should that be for as long as I can keep my hands off it!!! The method I decided to use was to prick the sloes multiple times by hand with a fork and divide them between some lovely 1L Kilner bottles. 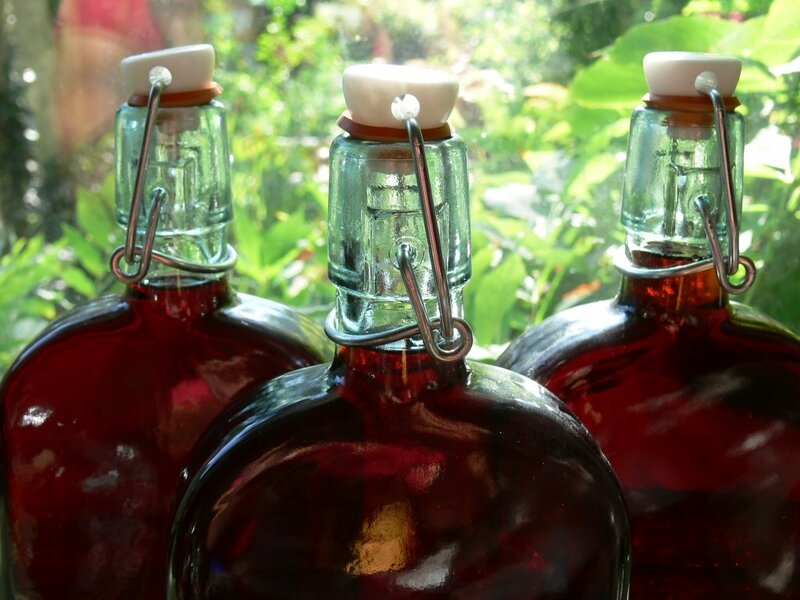 I then filled the bottles up to one third of there size with sloes and with two thirds of Gordan’s gin. I decided not to add any sugar at this stage as I wanted to allow the sugar from the sloes to be extracted first (I always find sloe gin to be on the sweet side and I have a very sweet tooth). That’s not to say I won’t be adding any sugar, but not for a few weeks at least and when I do I have been advised to either use honey or to heat the sugar in a small amount of water to allow the sugar to dissolve more easily before adding it to the gin. 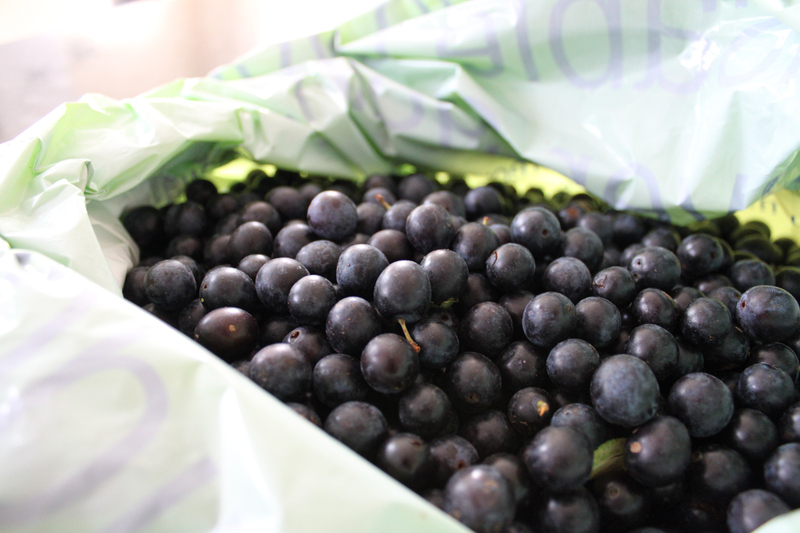 The bottles will be given the occasional shake and swirl to ensure that all that lovely flavour from the sloes mixes in properly. I intend to leave the gin flavouring until Christmas (that’s almost three months!) and may even hold back one bottle longer to see how it changes even more time…but hopefully I will be able to make a few more bottles over the coming weeks. I will report back later with how it tastes!!! If you’re visiting Cromer anytime soon then you must try and have a meal in The Red Lion on the sea front. It was very reasonable for two of us to have two courses there – both of which were very delicious and adequately filling.